Fishing in March, what to expect. Could the fishing start to pick up this weekend? Following my recent report of the catches of plaice made in the Poole area. I have also been told of several other Plaice that have been landed in the last week. Now the saying goes “one swallow does not make a summer”. This could also be true of the plaice. We have seen a couple of good fish landed from the shore but it may not mean the start of the plaice season in Poole just yet. But early indications are suggesting it may well be. If I was going to target a plaice possibly the prettiest of all the British flatfish. I would adopt the fishing tails motto :HOW, WHERE and WHEN. HOW: Plaice are very similar in size and shape to flounders. But that is pretty much where the similarity ends. Where flounders are happy grubbing around in Poole harbours muddy backwaters. Plaice are mostly found in fast tide rips and sand banks, ambushing passing sandeel and nipping the heads off razor clams. 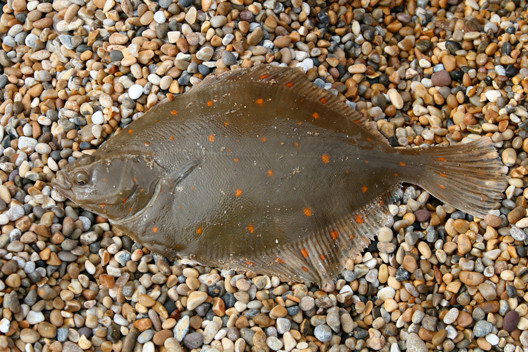 Unlike flounders who I described as almost catchable anywhere.Plaice require a slightly more specialised approach. The better Plaice I’ve seen landed, have all come at distance. Therefore a beachcasting setup is required. 12 to 13 foot rods capable of casting 5 or 6oz would greatly increase your chances . For my end tackle I use clipped down Bomber rigs or Portsmouth rigs for I find these get the best distances. 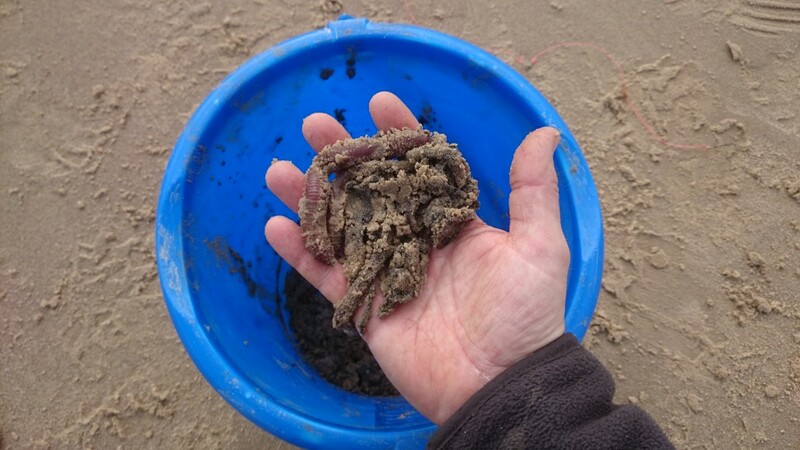 As for bait, fishing mostly over sand, common blow lugworm has got to be the number one for me closely followed by ragworm and razor fish. Plaice have big mouths so don’t be afraid to try some of these baits in a cocktail on 2/0 hooks. WHERE: As I suggested plaice feed over sand and sand banks similar to the beaches at Sandbanks!!! 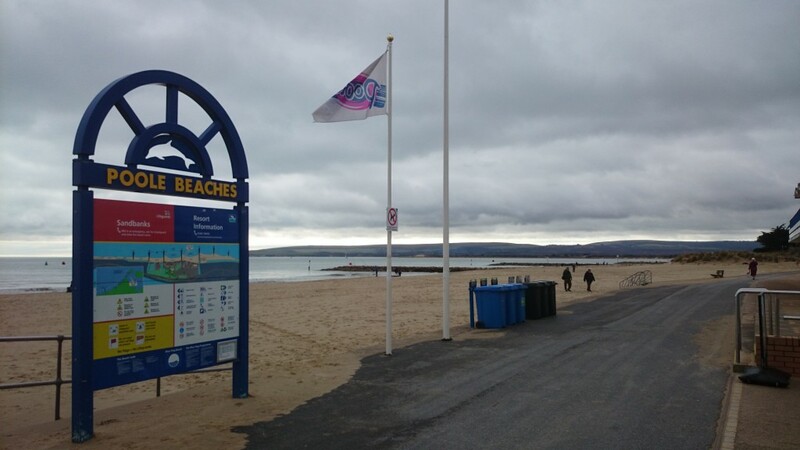 To find find sandbanks drive through Poole and follow directions for sandbanks chain ferry. Before you reach the ferry you will see a very large pay and display carpark on your left.This is the place to be. Parking can be expensive in the summer and the car park and beach can get very busy during the summer months. 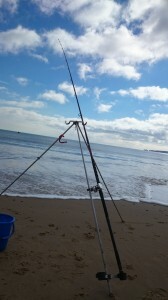 There are several miles of beach to fish from though during the day it will be impossible due to the holiday makers. There are large groynes to fish from however the implications of pendulum casting from these is still very scary. Plaice can be found all along the beach right past Bournemouth and onto Southbourne where I believe the British plaice record comes from many years ago! 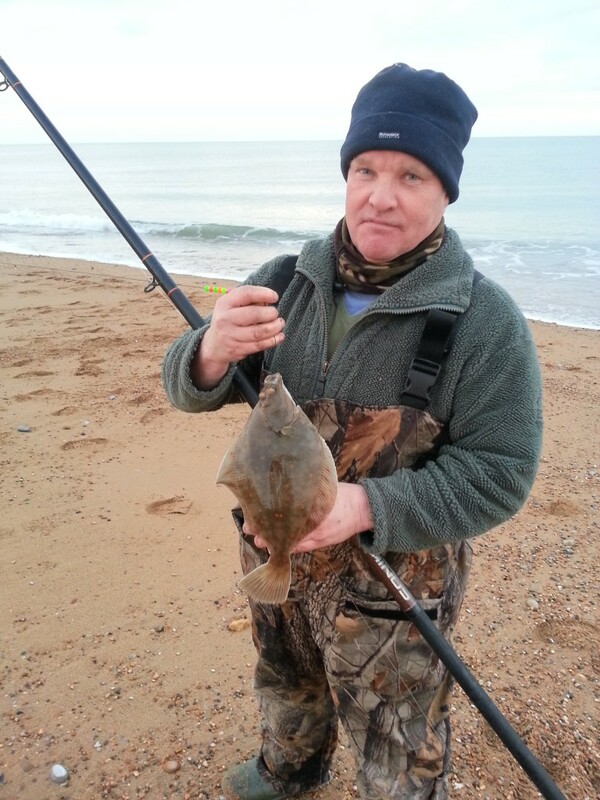 WHEN: For me I would normally concentrate my efforts for plaice fishing around March or April. However it would seem that the plaice fishing has started early this year. I’m not sure if this is to do with the mild winter or the fact we have had very large spring tides this week. Which I believe are the best time to fish for plaice. Once they are about they seem to hang on all summer gaining weight all the time. Catch one in April and they are so thin you can see through them. Catch one in October and they are nearly two inches thick!! Despite their love of fast tides. Plaice only seem to feed over the periods of slack water at high and low tide even then it pays to use gripper leads to hold bottom. One of the greatest things I love about plaice fishing is they like a bit of sun on their backs. Rough cloudy overcast days never seem to produce. But as soon as the sun pokes it’s head out and the weather brightens the fish come on the feed. Making a nice sunny fishing day special catching a plump fluorescent orange spotted plaice even better! 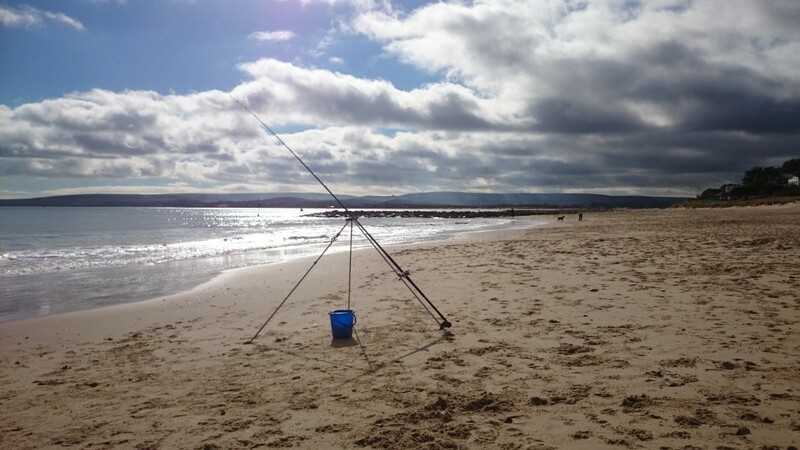 Fishing Tails > All Articles > Reports > Poole Harbour > Plaice fishing around Poole.